The Red Badge of Courage tells the story of Henry Fielding, a farm boy who sets out in search of glory by running away from home to join the Civil War, only to find himself running away from the battlefield in terror during the first skirmish. Mortified by his cowardice, Henry yearns for a wound, his own red badge of courage, which would legitimize his desertion of his company. When Henry is finally wounded, he finds himself feeling real anger for the very first time and is finally able to redeem himself. 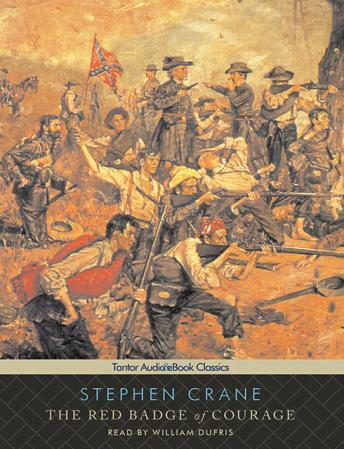 First published in 1865, The Red Badge of Courage is considered one of the most important novels of the nineteenth century. It explores the dual natures of battle-the simultaneous sensations of beauty and violence, of terror and triumph-and masterfully mirrors them to Henry's own inner turmoil.